E.S. 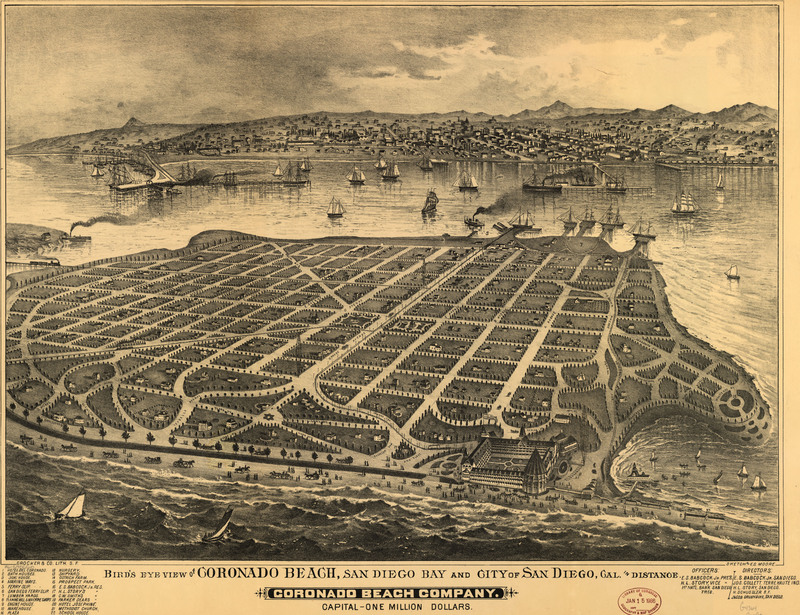 Moore's birdseye map of Coronado Island and San Diego, California, from the 1880s. The map appears to have been commissioned by what I'm guessing was a real-estate development company -- the Coronado Beach Company -- I'm generally distrustful of those sorts of things, but if you were to look at how much that land goes for now... I'd have to grudgingly accept that yeah, they were on to something. Yes… Coronado was developed as a master-planned community. The modern Coronado Bay Bridge would come down right around where the S-curve is shown on Pomona/Prospect/Soledad on the upper right. 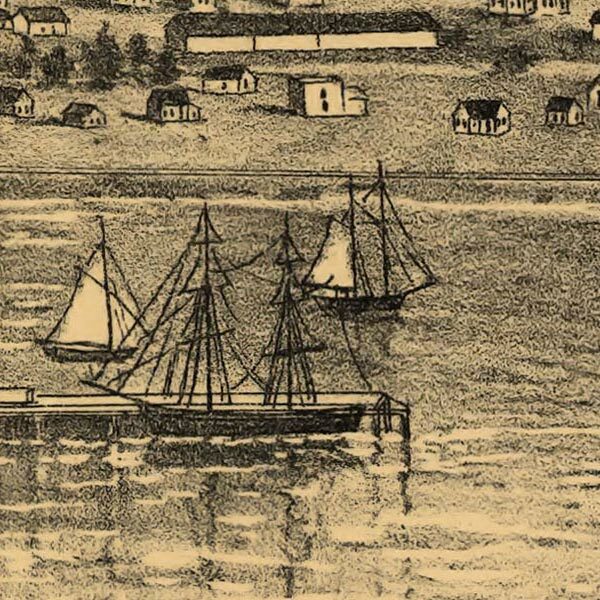 The bay to the left was filled in as part of the development of the naval air base. What happened to “K” Street ?